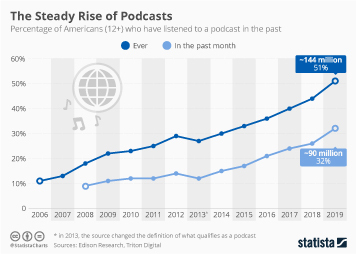 Over the past decade, podcasts have seen a steady rise in popularity. 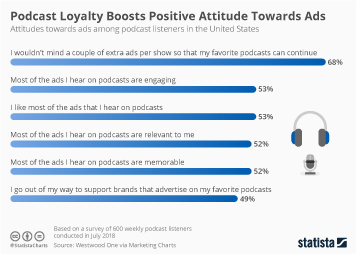 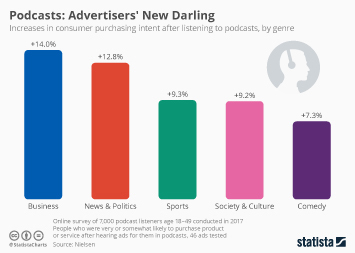 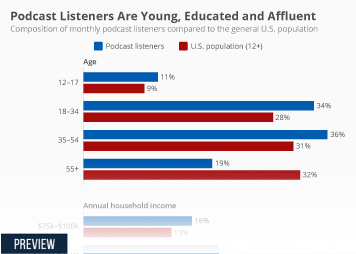 According to Edison Research, 70 percent of Americans are now familiar with the term “podcasting” and more than 5 in 10 have listened to a podcast themselves. 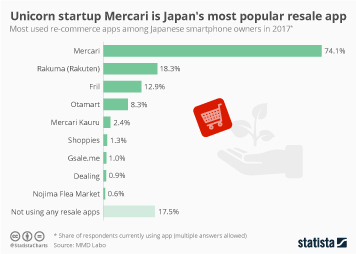 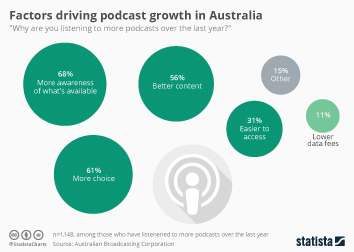 The format’s rise in popularity clearly coincides with a general increase in digital media consumption, specifically on mobile devices, but it was also helped by the fact that the selection of quality podcasts is virtually limitless these days. 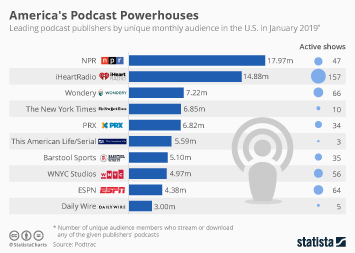 Covering anything from politics and sports to pop culture and investigative journalism, both major media organizations and independent producers are embracing podcasts as a way to reach an engaged audience with long-form content. 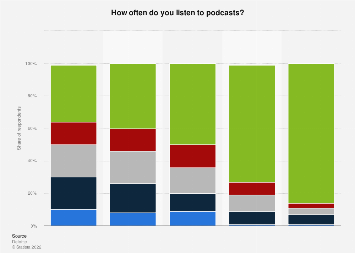 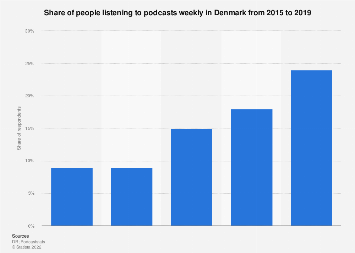 This chart shows how many Americans listen to podcasts.